The Life Talk Forum is a South African non-profit organisation dedicated to empowering young people to become their best selves by making life-enriching choices; and equipping parents for proactive parenting. It strives to help create happy, successful and fulfilled youth, guided by sound values – and it is committed to making the adolescent journey smoother for both teens and parents. Information is disseminated through relevant newsletters, social media, as well as through various talks and programmes. 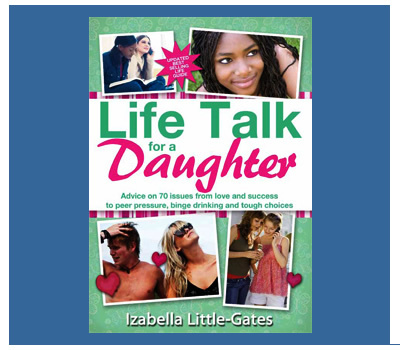 It all started back in 2004, when Izabella Gates (author names Izabella Little and Izabella Little-Gates) wrote her first book, the best-selling Life Talk for a Daughter. Emails flooded in from teens and parents, and these prompted her to assemble a panel of psychologists and counsellors and the Life Talk Forum was born. 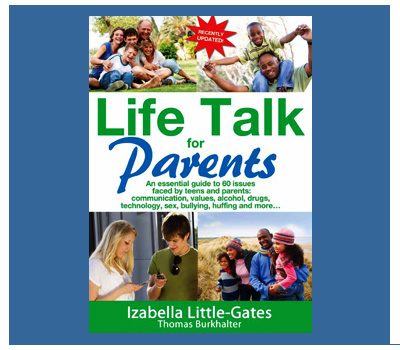 Izabella subsequently wrote Life Talk for a Son and Life Talk for Parents, and most recently The Tug of Life, and the rest as they say, is history. To raise awareness about challenges, and stimulate debate about choices and consequences. To focus on solutions and helpful aspects. To promote values and virtues. To empower people to take control of their lives in order to achieve their desired outcomes. Introduce The Tug-of-Life terminology and methodology into all aspects of life, thereby facilitating a solution-based approach. To galvanize the whole world into action – and into ‘tugging’ where it counts! 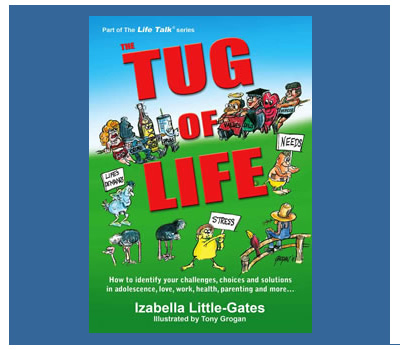 Izabella (aka Izabella Little and Izabella Little-Gates) is the founder and Managing Director of the Life Talk Forum, and author of the Life Talk and Tug of Life books. One of her key focus areas is to get teens and young adults thinking about their choices and actions. 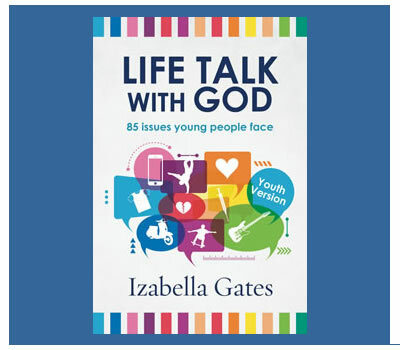 A question that Izabella has posed to tens of thousands of teens is “Who do you want to be and what outcomes do you want?”. She encourages teens to avoid any behaviour that leads them away from their ultimate “Goal Person”. The many enthusiastic emails that she receives from teens and young adults bear testimony to the powerfully positive impact that her question has on their decisions and actions. Many of the valuable lessons Izabella learnt through her own diverse experiences are contained in her books. She appears frequently on TV and radio programmes, is often quoted in the print media, and gives a number of talks. 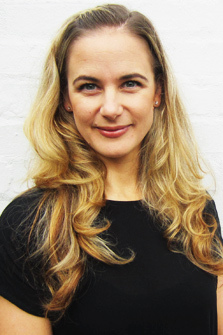 Nicoleen is based in Johannesburg and, having a corporate background, is responsible for business development for Life Talk Initiatives. 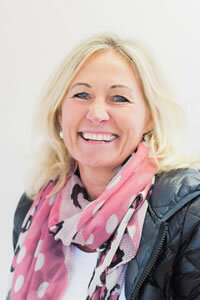 Nicoleen liaises with schools and corporates, and manages the team of Facilitators who deliver the talks and workshops. Her focus is growing the Life Talk initiatives in a sustainable manner to help the organisation to realize its objectives. 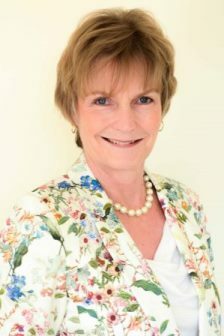 Debbie Hunt is a Facilitator and Life Coach who is passionate about personal development and upliftment through facilitating expansion of self-awareness and empowering others with the tools to help themselves, and to find answers within. 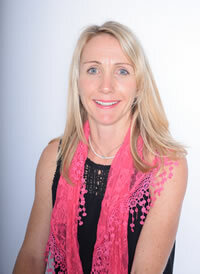 She has a wide variety of experience in the teaching, training and coaching field, and for the last 18 years has been facilitating a range of soft skills and life skills talks, workshops and training courses both in organisations and schools. She also offers one-on-one coaching. She has a degree in Psychology, and qualifications in counselling, life coaching, TESOL (Teaching English to Speakers of other Languages) and NLP (Neuro-Linguistic Programming). Dr Charmaine Diamond has a PhD in Linguistics from the University of Johannesburg (then RAU) and has taught English, Afrikaans, Life Skills and isiZulu for more than 20 years. She has lectured isiZulu at the University of the Witwatersrand and has written numerous text books for isiZulu FAL. As a school educator, in 2007, whilst teaching part-time, she opened Funda Njalo which means “Always Learning” to assist teachers and learners with materials suitable for first additional language learning of isiZulu and Afrikaans. After 4 years at St David’s Marist Inanda (2013- 2016) Charmaine and her family relocated to Ballito where she enjoys the lifestyle and spending time with her family. An educator at heart, Lee-Ann Bruce has spent most of the past thirty years teaching both adults and children. She did adult training in the corporate sector, but she has spent most of her career as a school teacher, where she could live out her passion for children. She is dedicated to growing and developing of others and believes that growth and learning happen less through teaching, and more through a facilitation process, where people are actively engaged. Her philosophy is that children impact upon our lives daily and that all we must do to experience their impact upon us, is to be present, in the moment. 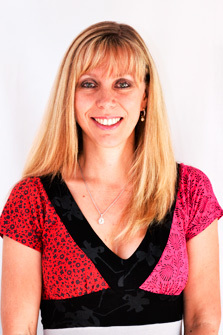 Lee-Ann is married with 2 grown-up children and is currently based in the USA. Leanne is an avid student of family dynamics, constantly revising the “parental manual” we are all still trying to get a grasp of. She believes in conscious parenting and recovery-parenting coaching which embraces listening and engaging with presence. Leanne is passionate about empowering young people by encouraging them to use tools to meet life’s challenges with confidence. 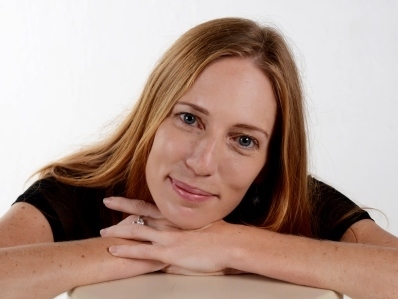 Leanne coaches, and facilitates workshops to empower youth development and entrepreneurial development programs in the corporate, NGO and education sectors. Her private coaching practice is like her third child, bringing joy and inspiration in its focus on changing lives through building self-esteem in little people and ‘big’ people too (because we are all children at heart). Leanne considers it a privilege and great gift to be part of the Life Talk team. Natasha is a Cape Town based Certified Professional Life Coach as well as Parent /Teen Coach and proud to be a part of the Life Talk Team. In addition to facilitating talks and workshops for Life Talk, she has a private practice supporting teens (as well as their parents) to navigate the challenges of the teen years. Her passion is to guide teens to be leaders in their own lives, to live with vision, to develop a healthy self esteem, manage stress and effectively relate to others. Izabella, Nicoleen and Natasha make up the extraordinary core team of driven, enthusiastic, high-energy, fun and passionate “Life Talk” women. People are constantly amazed at the volume and quality of work and output achieved by this dynamic group. Together they have initiated a number of life-changing initiatives and they are committed to getting everyone “tugging” for a life that is successful, fulfilling and happy.